I rarely feel inclined to write a formal review of a book I have read. I will very rarely finish a book that I just can't stand, and rather than critiquing the ones I do read I am more interested in thinking about the ways the story touches (or doesn't) my own. With that in mind what I am going to start doing is attempting to do a short post each week right here on my booklikes blog about the reading I have been doing that week. It will feature books, audio books and articles of interest. This week I began a new job that is going to include a pretty long commute (one that is, thankfully, NOT in the direction of the horrid Atlanta traffic). I am excited about what this is going to mean for my audio book listening. I have joined Downpour.com (an online audio book club) and still have a number of Audible titles to listen to from a previous membership with them. Plus our local public libraries have wonderful selections of audios both in CD form and through the Overdrive online service. I will not run out material both free and low-cost to feed my habit. My goal is to have no more than two books going at a time; one audio and one print. I have been terrible in the past about having too many books going. My print reading of late has been hampered by struggles with my vision. I went to the eye doctor last week and it turns out that the prescription has changed a good bit. New glasses are on the way! Print book of the week: Early in the week I finished a book that I had left dangling for a while. 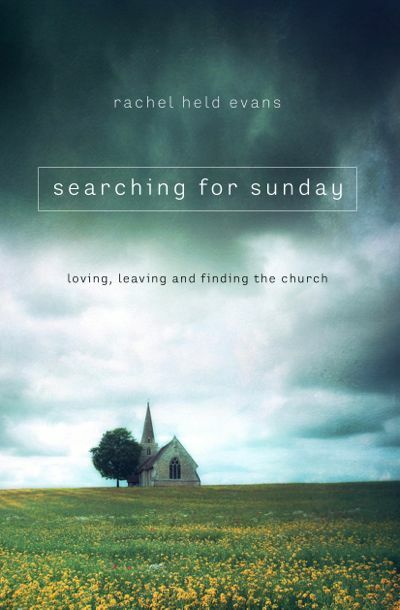 It is one I had eagerly awaited by Rachel Held Evans called Searching for Sunday. I read her first book Evolving in Monkey Town (it has now been retitled Faith Unraveled) and have her second book A Year of Biblical Womanhood on my kindle. Rachel has become a powerful voice for progressive Christians - especially those a generation younger than me, who are searching for a more meaningful spiritual experience within the church. Her willingness to be very honest about being one of those very confident evangelicals who "knew it all" to becoming someone full of mostly doubt and questions is refreshing. Those of us who were raised in a culture where doubt is shoved firmly into closets and other dark spaces need voices like Rachel's. One of the questions I had after reading Rachel's first book, which was mostly about her journey into questioning dogmatic beliefs, was how these questions affected her ability to find community in the church. Searching for Sunday delves into that and more as it chronicles her journey in and out of church and her attempts to both find and create community. Of course she has created community in a big way through her blog and online presence, but that doesn't change the day to day need for personal community and connection. I didn't sense that has found that perfect answer or community but that the pull to church for her is still strong. I will be eager to hear more of her journey as she continues to travel her path. As I write this on a Sunday morning, I realize that right now I am not really Searching for Sunday, but have found a sense of peace about using my Sabbath as a time of reading, writing and relaxing with family. It was a decade ago that our family left the church where we had been members for a decade (and where I had worked most of that time) to find a new way. I knew that no matter how much I deeply loved many people at that church, I did not fit or belong there. In the past decade I have visited and been a part of many churches where I have experienced joyous fellowship but have also felt the wounds caused by those who use the church to hurt and hate. While I admire many of my friends who, like Rachel Held Evans, have chosen to be voices of change within the church, I simply cannot join them. I am tired. I have found fellowship and connection outside the church walls that doesn't seem to come with a heaping helping of guilt. I do not hate the church and will even say that I still deeply love it with all of its flaws. It just feels like my time to be on my own and find out who I am without it. I will continue to care deeply about my spiritual journey, but I have a feeling my field of vision will be different from this new vantage point and I will learn things I could never have learned in Sunday School. I had never heard of this book but when I was browsing at the library last Sunday looking for audio books for new commute I had to check the religion section (of course) and Martha's name popped out at me as someone that some of my friends are constantly quoting. Turns out she is also a life coach who has been on Oprah which is probably why I have seen her name before. But this book caught my eye because it was a spiritual memoir of her journey out of an abusive religion. 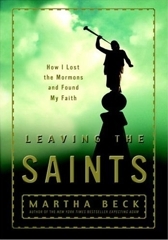 Having spent a small part of my life connected to Mormonism, it also intrigued me from that perspective. I am just about finished listening and am enjoying it for the most part. 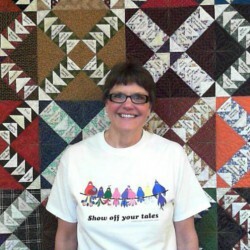 Her story is very believable, even though it is clear that she struggles to get it told in an authentic way while having to protect so many people and avoid telling the stories of other people closely connected to her own. I struggle a little to connect with her personally because she is one of those types who seems to be able to have dreams and intuitive flashes that guide her journey, where I find that I mostly stumble around in the dark having the aha moments after I reflect on the journey. I am still glad to have stumbled on this one as it is very good so far. 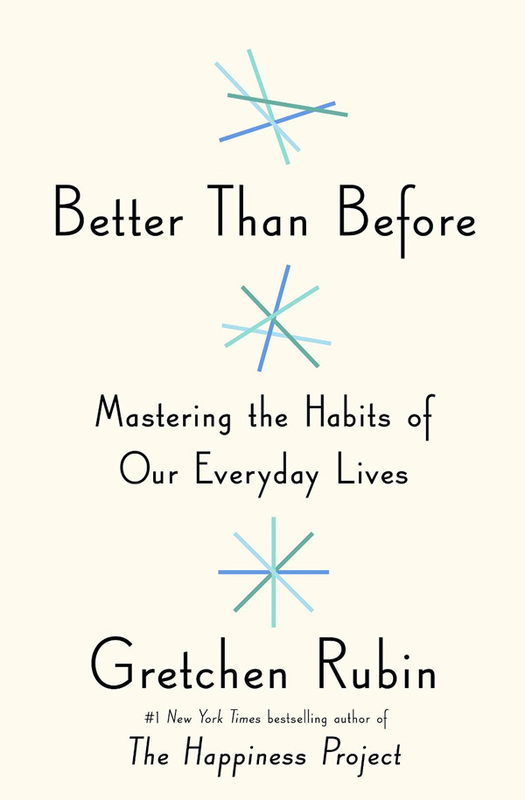 I just started Better than Before by Gretchen Rubin and hope to finish that this week. After finishing my audio of Leaving the Saints I am going to listen to a children's audio and try an Evanovich book (never have read or listened to her before). Have a great week of reading and please share any recommendations you have for me!